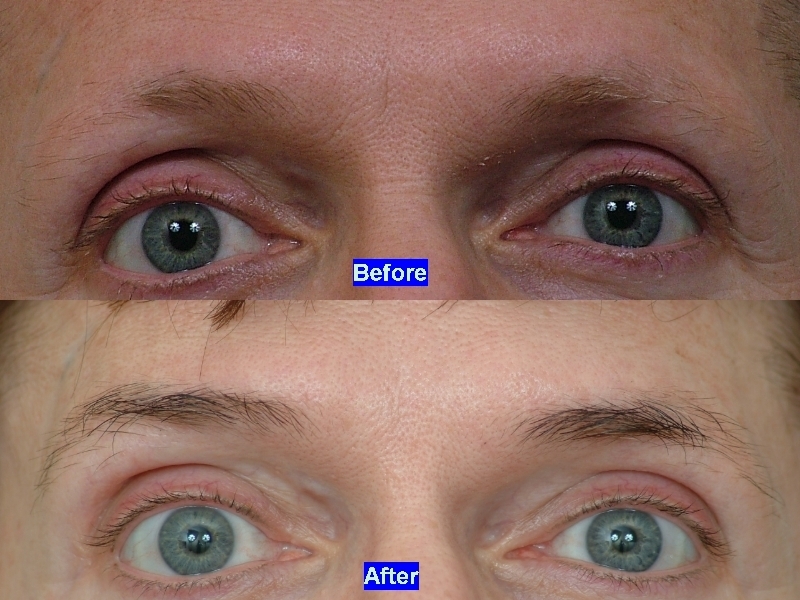 Attached are pre, post-op and follow-up photos of an eyebrow reconstruction performed at our Atlanta Clinic in 04’.The patient’s goal was to thicken the eyebrows and restore density. 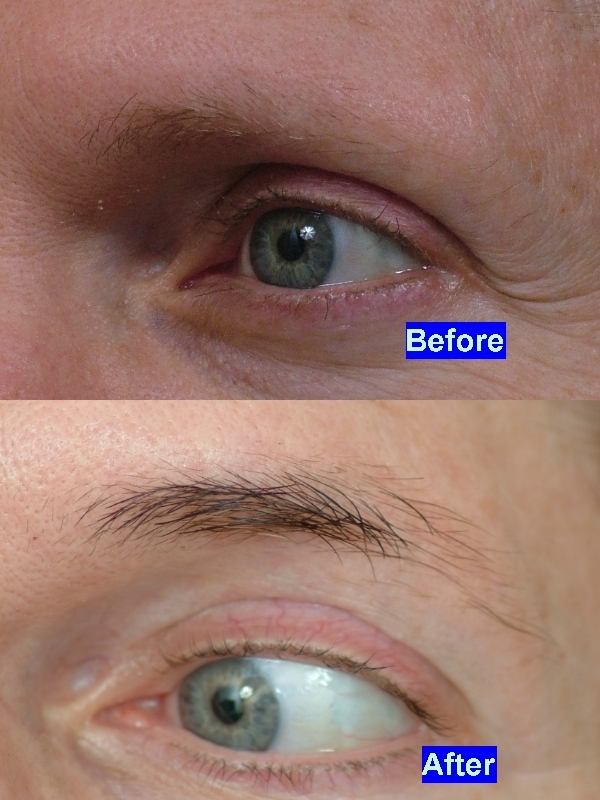 Eyebrows are made up courser and finer hairs to achieve a soft feathered effect. To meet these specifications, we used variations of scalp and body hair for the best cosmetic effect. 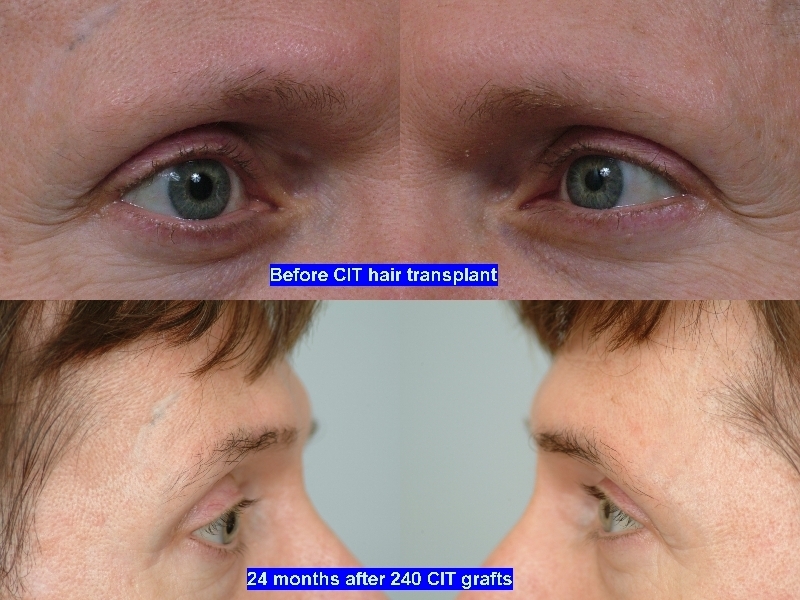 240 CIT grafts were placed to the outer thirds of the left and right eyebrows to treat this patient. 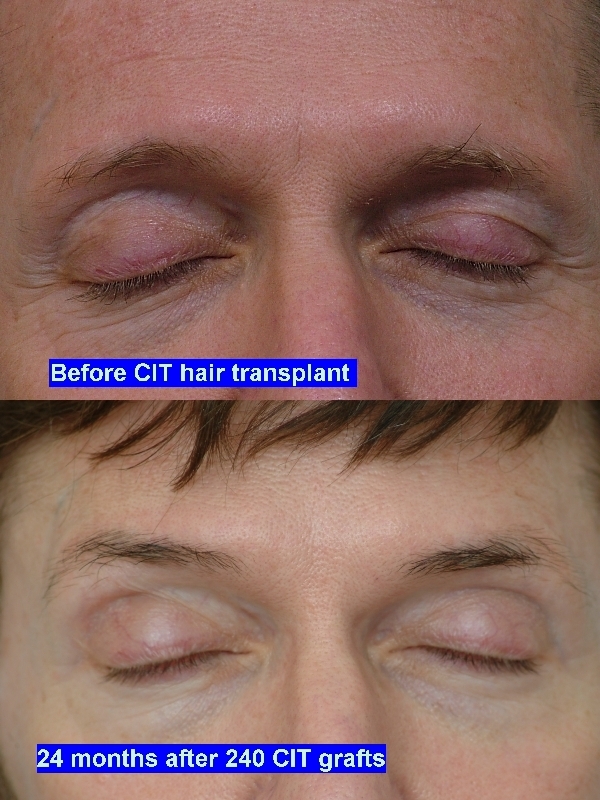 In less than one year, the patient reported seeing results as not all hair grow at the same rate. 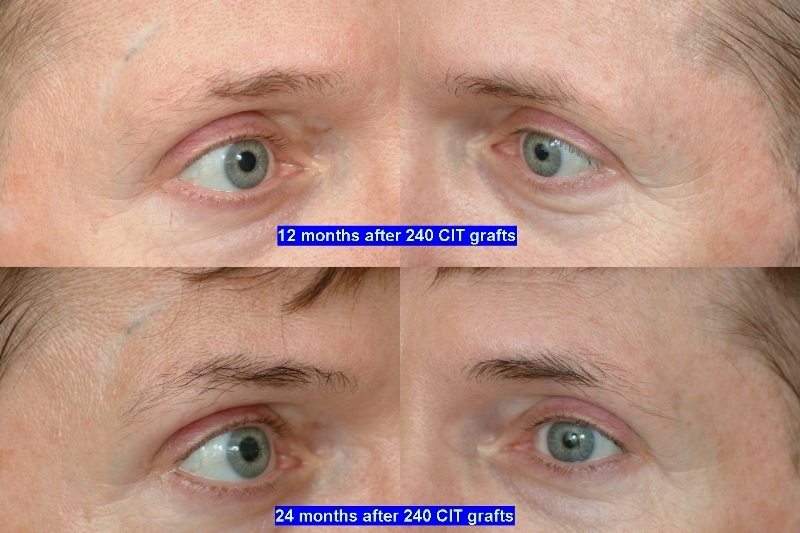 This patient is progressing extremely well and the results are amazing after 24 months. Great pictures. Thanks for posting that. Can you tell me how much does something like this cost? Thanks. » Can you tell me how much does something like this cost? Thanks. » » Can you tell me how much does something like this cost? Thanks. I am not sure about Dr. Cole’s clinic. But I do know that some clinics charge a FLAT fee for eyebrow or eyelash procedures, not on a per graft basis. » » » Can you tell me how much does something like this cost? Thanks. that makes sense since its not a lot of graphs. » patient reported seeing results as not all hair grow at the same rate. What an awesome job with delicately placing those fine hairs. Wouldn’t mind getting this done myself. Has there ever been an eyebrow repair or redistribution done? » » patient reported seeing results as not all hair grow at the same rate. » » after 24 months. 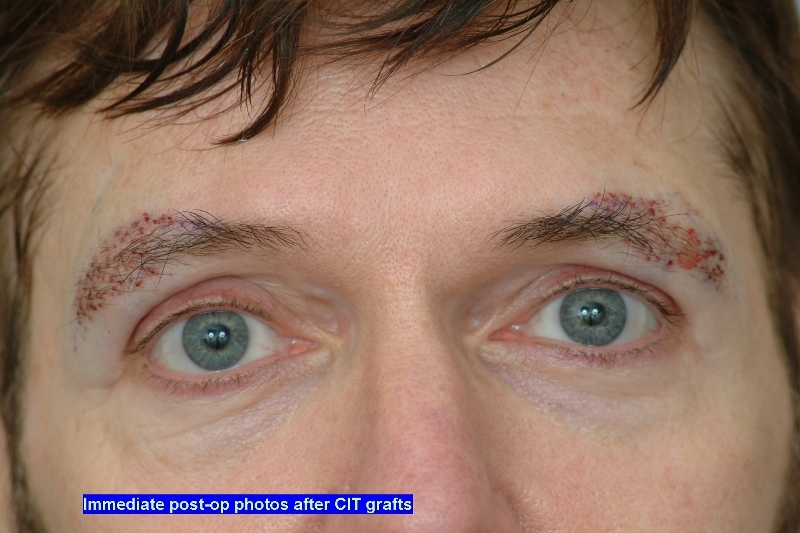 Attached are additional photos of this patient’s eyebrows which have been restored through CIT. This method allows for better harvesting of the donor area to yeild the most ideal donor hairs without having the linear scar from strip (FUT). 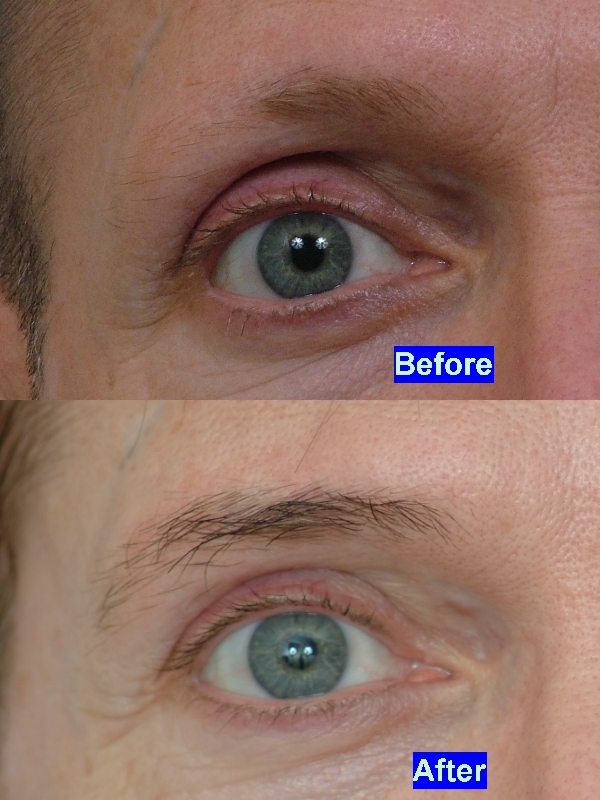 Loss of eyebrows can be caused by self-inflicted obsessive plucking (tichotillomania), radiation therapy, trauma, or the congenital inability of the patient to grow eyebrows. Eyebrows have a more important role of forming the face than scalp hair and they even protect the eyes.